But an alleged leaked image from Amazon last fall showed two devices: the 3rd-generation Fire TV dongle that launched in October 2017, and a cube device with the Amazon logo. The cube has 4 buttons on top: volume up/down, mute, and action button just like Amazon’s Echo products. 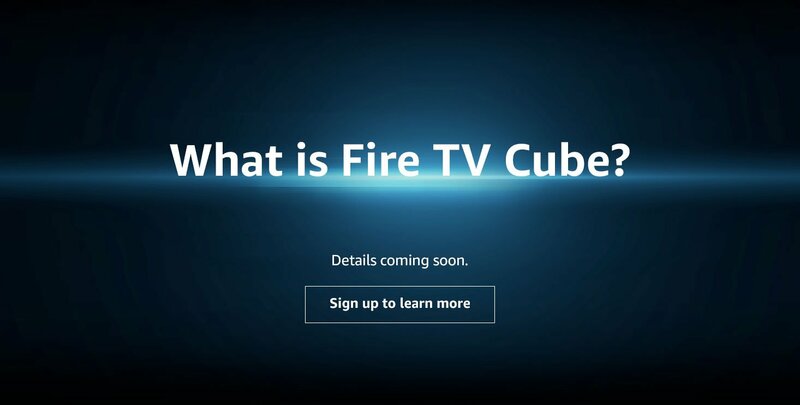 The cube has the same black finish as other Fire TV devices, and a neon blue stripe across the face. Many tech reporters have eluded to the possibility of the Fire TV Cube having Alexa built-in, which would be nice but let’s not forget a voice remote control is usually closer to the person giving commands. However, it might also have some of the features of Amazon’s Echo and Echo Dot devices, such as sending messages or controlling other Alexa devices.